This is our next post in our series discussing why residents of Dallas, Texas need a will. 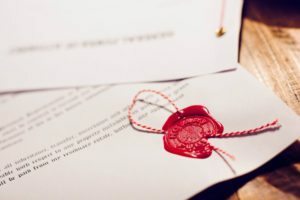 Our last article discussed why parents of minor children need to establish a testamentary trust in the event that they die or become incapacitated. Most parents assume that they would leave all of their assets to care for their children, but it’s more complicated than just leaving the kids your checkbook. In this post we discuss how having a thorough will can save you money. It is less expensive to have a will drafted in Dallas, Texas than to probate an intestate estate. One of the reasons that people put off drafting a will is the cost. While it is not expensive to hire an experienced Dallas, Texas attorney to draft a will for you, it is one of those less pleasant tasks that always get pushed to the backburner. It is true that taking care of this important task will require a financial investment now, but it will definitely save money in the long run. If you have a properly signed, notarized will with original signatures, it can be filed and probated with the court for as little as $1,500. When someone dies intestate (without a valid will), however, then even a very basic estate will cost $3,500 to $5,000 to probate. That would be a best case scenario. Worst case (which we see routinely) is to die intestate and have family members fighting over who is and is not an heir, who should serve as executor, even claiming common law marriages or out-of-wedlock children! Should a situation like that arise, your case will likely require litigation which can cost tens and even hundreds of thousands of dollars, often consuming a significant part of the estate. Estate planning is vital for larger Texas estates. If your estate is small, a simple will may be all that is necessary. Those can be prepared by competent counsel for a modest fee. Those with larger or more complex estates, however, should definitely utilize an attorney who specializes in estate planning. Proper estate planning can enable your estate to minimize or eliminate certain estate and/or death taxes. It may also enable your estate to minimize or eliminate certain taxes on income earned by your estate. It is important, therefore, that you prepare your will with tax considerations in mind. It’s also a good reason why you should always have your Will reviewed by a qualified estate planning attorney who is familiar with estate and death taxes as well as income taxation of estates in the state that you live in. If you require assistance with the drafting of a will then contact our office to speak with a lawyer. In addition to Dallas, our probate attorneys service the Highland Park, University Park, Plano, Denton, Fort Worth, and McKinney, Texas areas. The Johnson Firm focuses on probate and business litigation so you can focus on the most important part of business - your future. We service the greater Dallas Metroplex area and assist in matters relating to estate planning, the administration of probate, litigation over wills and trusts, and fiduciary and business litigation. In addition to Dallas, we service Plano, Denton, Fort Worth, Garland, Irving, Frisco, McKinney, Austin, Houston, San Antonio, Nacogdoches, and Lufkin, Texas.